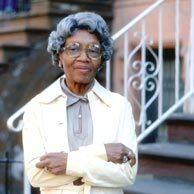 December 18, 1992 Clara McBride Hale, humanitarian known as Mother Hale, died. Hale was born April 1, 1905 in New York City. She struggled to support her family after the death of her husband during the Great Depression, using her home as a daycare center. Over the years, Hale’s profession became her life calling. She became a foster parent and became known as a mother to those who did not have one. In 1969, Hale began to take in children who were born addicted to their mother’s drug habits during pregnancy. In 1975, she attained her child care license and officially opened Hale House. Mother Hale helped over 1,000 drug addicted babies, children born with HIV, and children whose parents had died of AIDS. Hale was recognized by President Ronald Reagan in his 1985 State of the Union Address. Her biography, “Clara Hale: A Mother to Those Who Needed One,” was published in 1993.